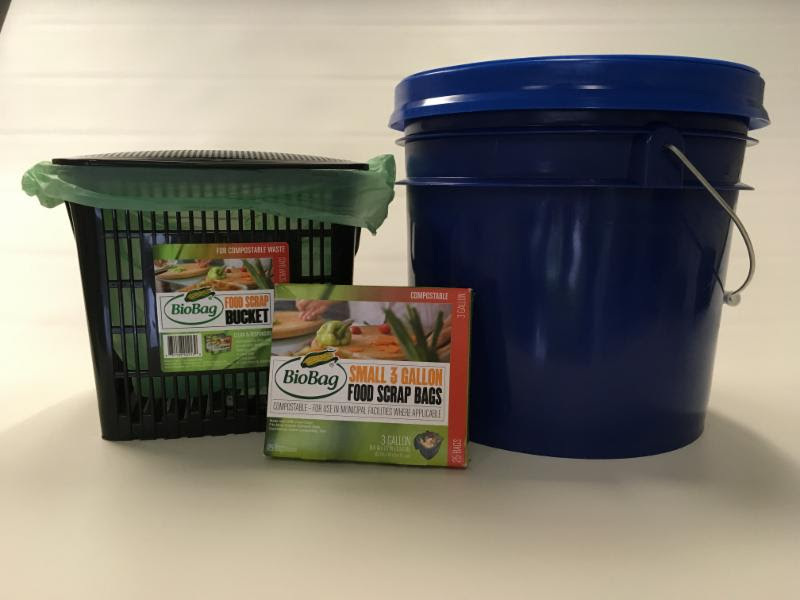 You can easily turn your food waste/compost into biogas by collecting it and bringing it to Wellesley’s own Recycling and Disposal Facility (RDF). Now that is renewable energy! Wellesley residents are invited to participate in a food waste drop off program at the RDF that’s intended to reduce the amount of food waste going to landfills by making composting more convenient for residents. The three-month pilot, part of a series of initiatives conducted by Wellesley’s 3R(Reduce Reuse Recycle) Working Group, will help the town determine if there’s enough interest to permanently offer the program. The 3R Working Group includes the Department of Public Works, the NRC and the Sustainable Energy Committee. Participants will bring their waste-filled bags to a container located in the RDF trash drop off area. The collected food waste will go to an anaerobic digester to be turned into biogas. Pilot program participants will also be asked to complete follow up feedback surveys. All enrolled participants can pick up their starter kits at the RDF. The food waste drop off area will be open during regular RDF hours. Learn more about the Food Waste Drop Off Pilot here!